Kelly Clarkson was the first winner of American Idol, she returned to perform for at American Idol one more time. This time she was not a contestant, she was the star appearance for the night. She never thought she would be back on the same stage 10 years later. Kelly began to sing her own song ‘Piece by Piece’ which she wrote whilst pregnant, whilst singing everyone’s eyes filled up with tears. Kelly herself was not able to hold back either and struggled in some parts of the song, she regained herself and continued until the end. 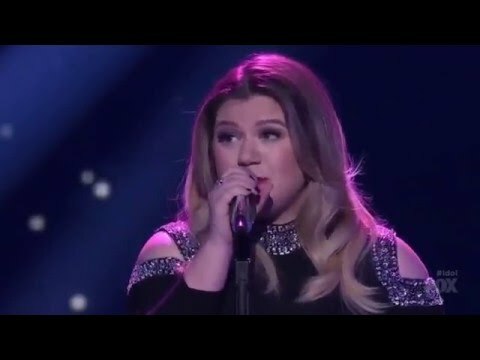 This performance has shown the judges how far she has come in 10 years, Kelly was always known for her powerful and beautiful singing voice but they never expected this.